Western Business Systems was established in 1977 by William Wehe. The company is a California Corporation and family owned and operated. Our company was formed on the simple concept of marketing a quality product and serving our many accounts on any and all levels. We return calls immediately, care deeply for our family of BERG system users and always provide prompt, reliable customer care whenever our services are required. 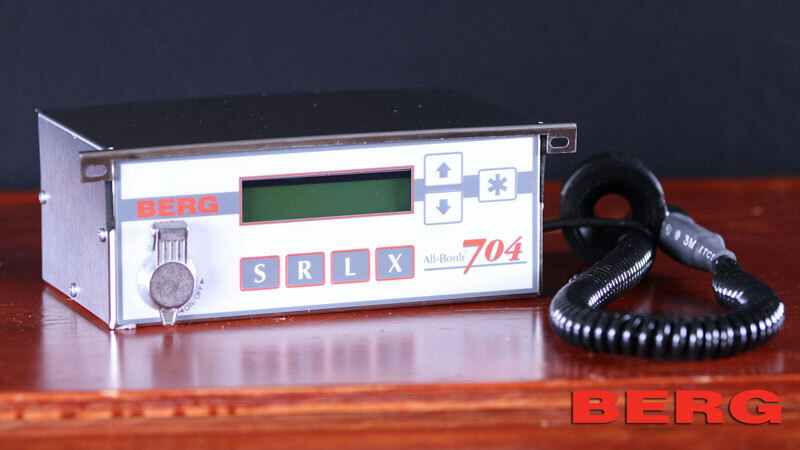 The BERG system is one of the most reliable products on the market today. 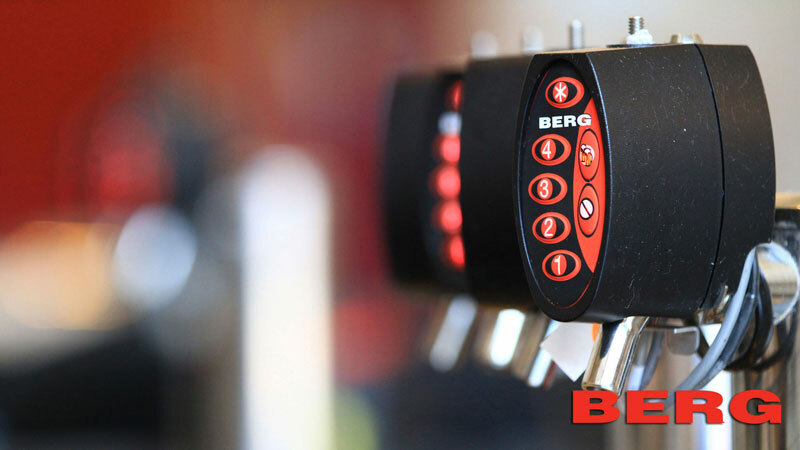 BERG is the leader in Beverage Dispensing Systems, manufacturing the finest liquor, draft beer, wine and beverage dispensing systems in the industry. BERG systems are tailored to meet the needs of small local neighborhood bars as well as night clubs, casinos, hotels and other hospitality facilities. For over 38 years, Western Business Systems has been providing Southern California with the finest Berg beverage management systems including liquor management systems, draft beer/wine management systems, inventory control systems, and remote draft beer delivery systems. It starts with The Berg Difference! And here are more reasons why so many bar, club, restaurant, casino, hotel, stadium and venue owners worldwide rely on Berg Liqour controls and liquor control systems to help control costs, improve profitability and make informed bar management decisions. 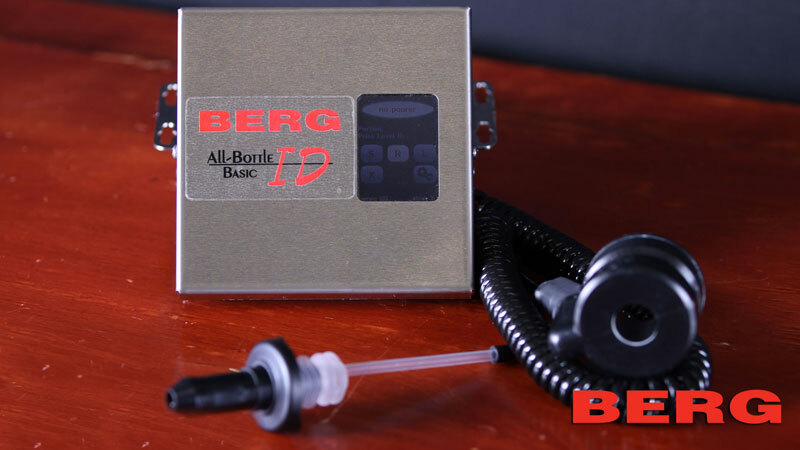 Berg All-Bottle™ liquor dispensers and liquor controls make dispensing fast and easy, and give you total control and accountability for every drink poured – all at a very affordable price! Berg All-Bottle Brand ID ring pouring bottle top liquor controls are designed using radio frequency (RF) microchip technology, enabling tracking of the specific brand, portion size and price for every pour. 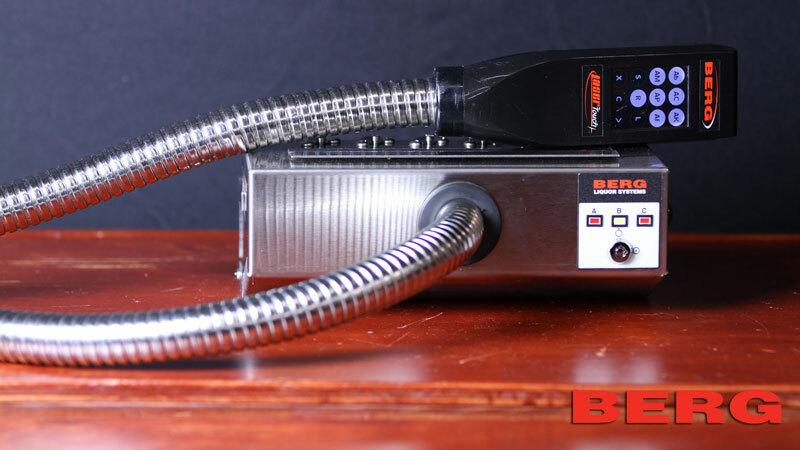 Berg Laser gun style beverage and liquor dispensing systems handle up to 16 brands of liquor that can be dispensed individually, or up to 48 cocktail mixes with as many as 5 brands dispensed at the same time with the push of a button – fast and easy! With the TAP2 draft beer dispensing system controlling over-pour, waste, “give-a-ways” and unauthorized drinking, bar owners have experienced up to twice the profits over sales of bottled or canned beer. 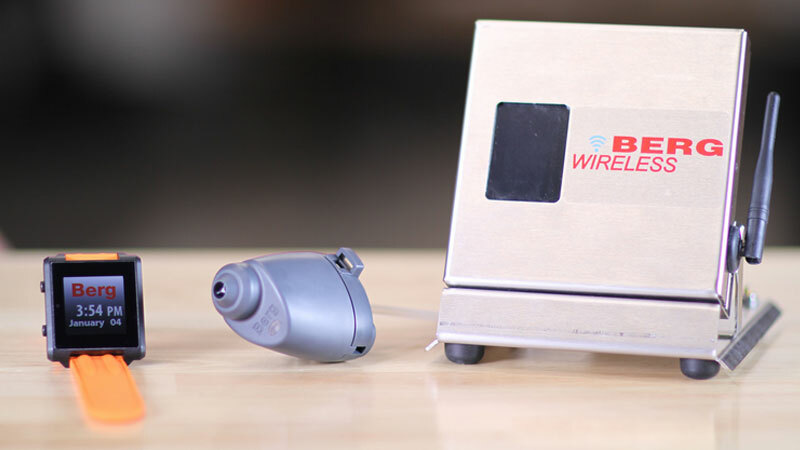 A completely wireless, state-of-the-art portion control pourer. The wristband identifies the person pouring the drink and is used to select from 4 available portion sizes. Merlin offers 4 price levels, complete inventory control, and POS interface all with the sleek look of a wireless system. Smartender is the world’s first patented and portable touch-screen bar and automated cocktail dispenser. Simply plug it in and accurately pour one of over 600 different drinks within seconds! Berg Infinity Network™ beverage and liquor management system, powered by Berg Infinity bar management software, is the ultimate in bar management systems, expanding on our stand alone liquor control systems and Berg Dispenser Network™ liquor management systems by Enabling connection of an infinite number of beverage and liquor dispensers and liquor controls or infinite number of individual Berg Dispenser Networks into one large network of networks, creating a single point of total management control across your entire operation – all run from your personal computer or Ethernet local area network (LAN). Providing the ultimate in comprehensive and easy to use reporting, scheduling, inventory control and system management and maintenance, essential for total accountability, control and making informed decisions for improving profitability and effectively managing your entire operation – whether a single bar or an infinite number of bars or smaller bar networks Let Berg Infinity Network Empower You! Since Berg first introduced the Berg Infinity Network liquor management system and bar management software in 1991, owners and managers of single bars and smaller operations to large, multi-bar operations such as casinos, large clubs, hotels, stadiums and theme parks, count on the Berg Infinity Network and Berg Infinity bar management software for the complete liquor control, monitoring, management and reporting they need to know what is happening at all times in their operations, make informed decisions, control costs and improve profitability! Find our more about Why Liquor Control and Why Berg. Use the Liquor Loss Calculator and Beer Loss Calculator to assess your loss potential, and then contact a Western Business Systems representative today and start saving. The Berg Dispenser Network™ beverage and liquor management system and Berg Dispenser Manager™ bar management software is designed to interconnect all of the beverage and liquor dispensing systems and liquor control systems within a single bar, several bars, or smaller bar networks, along with the point of sales (POS) terminal and your computer system, into one easy to set up and use network. With Berg Dispenser Network, you customize the specific network you need, using any combination of liquor controls and liquor monitoring systems, including All-Bottle™, Laser™, TAP2™ and Flow Monitor™. Owners and managers of bars, nightclubs, restaurants, hotels, sports centers, casinos, stadiums, theme parks and many other venues worldwide, count on the Berg Dispenser Network liquor management system and Berg Dispenser Manager liquor software for the liquor control, monitoring, and reporting they need to know what is happening at all times in their operations, make informed decisions, control costs and improve profitability! Find out more about Why Liquor Control and Why Berg, and then contact a Western Business Systems representative today to learn more about setting up the right bar management system for your operation - and start saving. Stand Alone liquor control systems are basic liquor dispensing systems and liquor control systems that enable programmable portions for consistent drinks and controlled pours, have an after hours lock out, and can be connected to the point of sale (POS) system terminal for total cash control. Berg stand alone liquor control systems are also equipped for easy connection to your personal computer (PC) for programming and reporting, or to an Ethernet local area network (LAN) enabling remote access. Multiple liquor dispensing systems can be networked together into a Berg Dispenser Network, or Berg Infinity Network liquor control and liquor management system, for single point control and management of your entire liquor dispensing system. Increase Your Profitability With Berg! Berg liquor control systems and liquor monitoring systems keep both sides of the bar happy and serve as your representative behind the bar. Know that every drink poured is accounted for and your liquor inventory is secure. Learn more about Why Liquor Control and Why Berg and use the Liquor Loss Calculator and Beer Loss Calculator to assess your loss potential, and then contact a Western Business Systems representative today and start saving. Western Business Systems stands behind all of our Berg beverage management systems with a factory warranty and support to help you maintain your investment. Our service technicians assist in diagnosing system issues and are committed to serve and support you. You can submit requests for parts and service via the request form on our site or via fax or email. Click on a button below to view our brochures. Rental or Lease Programs Now Available. We now offer rentals or leases of our Berg products. Scheduling and pricing is specific to each product and time period. "Just a note to say thanks a million, because that's almost how much money you have saved me over the past several years..."
"I am happy to report that after more than a year and a half with the BERG system, all is working perfectly..."
"It is not often I will take the time to write a letter to recommend a product, but your recent installation of the BERG Infinity System definitely warrants praise..."
"What we find to be so beneficial about the Smartender, aside from the guest appeal of the machine, is the ability to offer our guests the option of a hosted cocktail bar where there otherwise wouldn’t be this opportunity..."
Put your profit back in your hands with complete portion, price and inventory control. Western Business Systems has been providing quality Berg products, Berg system supplies, and excellent service to our Berg system users in Southern California since 1977.